I am one of the luckiest authors to have Cherie Reich as my editor. Cherie impresses me with her knowledge of arcane grammatical rules as well as her well-read background, from Classics to Science fiction. 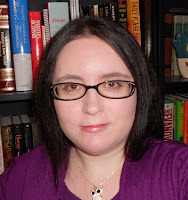 In addition to editing, Cherie works at a library, writes fiction, and is an avid book blogger. It is safe to say that Cherie has been surrounded by books since infancy. By any measure, Cherie Reich is a book lover. She works at a library, has over a thousand books in her bedroom, is a freelance editor, an avid book blogger, and a writer. Whew! Did I get all that in one breath? Cherie, welcome to Rachelle’s Window. You’ve written Horror, Science Fiction and short stories in various publications. Tell us what your next release, Women of Foxwick, is about. Cherie: Aww, thank you for having me! Women of Foxwick is a collection of five fantasy short stories featuring women of Foxwick: a lady bard, a dragon seer, an assassin, an herb witch, and a princess. Rachelle: I absolutely love the cover. It's so rich and has that fantasy vibe. I’ve been fascinated by your Gravity series. How did you come up with the idea to combine an interplanetary romance with the usual sci-fi action and adventure? Cherie: I would have to go back to Linia. She was a Star Trek role-playing character I created in around 2004 maybe. The role-playing game never got off, but the character stayed with me. Then, Pill Hill Press did a call for a romantic suspense anthology with speculative elements. I thought of Linia, and thus, her story (Defying Gravity) was born. Rachelle: Since the, you've also published Fighting Gravity. Is there a reason every title has the word “gravity” in it? Any special significance? Cherie: When I was writing Defying Gravity, I had heard the song “Defying Gravity” from the musical Wicked. The title clicked with my story. Plus, I like the scientific principles of gravity. Gravity is something we must abide by, but we want to defy it too. Gravity stuck. So when I had the idea of the other books, I kept the “gravity” part and added other words: Fighting Gravity (Book Two) and Pull of Gravity (Book Three). A little known fact, I actually had three other titles to consider with gravity (Relative Gravity, Laws of Gravity, and Changes in Gravity). Rachelle: Okay... I bet Sir Isaac Newton would be pleased. So, how does a student of classical antiquities end up futuristic fiction? Any interest in taking one of the ancient myths or stories and either modernizing it or embellishing it with a stronger female character? 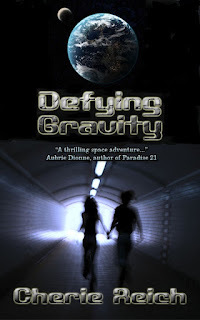 Cherie: I may have placed my Gravity trilogy in the future, but I pull heavily from the past. Even the two planets in Defying Gravity come from my studies in mythology, particularly Greek mythology. Persea and Medusa come from the tale of Perseus and Medusa. The kerebi in Fighting Gravity comes from the three-headed dog who guards Hades: Cerebus. I enjoy sprinkling in the mythology I love to a futuristic setting. After all, myths and legends are inherent to our present and future as much as our past. Rachelle: Yes, I did notice the Medusan aspect. Nice. Do you prefer to write shorter works or long epic novels? I would imagine some of the fantasy worlds would require a bit of world building. Cherie: I love losing myself in a novel and exploring characters in a longer work, but it’s easier for me to write, revise, and edit shorter works. I enjoy writing brief glimpses of characters in flash fiction. I would say that writing shorter forms throughout the year help me to knock out the first draft of a novel much more easily now. Hence why I keep participating in NaNoWriMo. Rachelle: NaNoWriMo is fun. I'm working on revising mine right now. Now for some fun questions. When it is really dark and you’re the only one alone in your home, what are you afraid of? Cherie: I am concerned by fires, robbery, murder, etc., but ironically, I am afraid of aliens, like the aliens from Signs. I still keep water around just in case. Rachelle: If you could be any character in any novel, who would you be? Cherie: Hermione Granger from JK Rowlings’ Harry Potter series. Rachelle: If you could travel in time, either forward or backward, what would be your preferred destination? Cherie: Ancient Rome, preferably the time of Julius Caesar, although I really will miss the internet and my Kindle Fire. Rachelle: I hear you have a new furry friend. Tell us a bit about your pets. Do they every interfere with your work? Chew up books? Scatter your paperwork, pick off laptop keys? Cherie: We recently got my sister a kitten. She’s a fluffy gray kitten named Juliette, or Jules. We also have a black and white six-year-old cat named Cinderella, or Relli. Then, there is Romeo, a two-year-old striped tabby. My sister also has a six-year-old black cat named Hekate. I also have a goldfish named Dash that is six years old and a five-year-old guinea pig named Abby. If you can’t tell, I love animals. Hehe! Typically all of them are pretty good about my work, but sometimes their cuteness and need for my laptop’s space make it difficult to focus with them around. Rachelle: Always nice to surround yourself with cuteness and books. Thanks for visiting with us. Be sure to watch for Cherie’s new release, A-Z Flashes of Foxwick. It is currently free on Amazon. Author Bio: A self-proclaimed bookworm, Cherie Reich is a writer, freelance editor, book blogger, and library assistant living in Virginia. Her short stories have appeared in magazines and anthologies. Her e-books include a horror novelette titled Once Upon a December Nightmare, a short story collection with authors Aubrie Dionne and Lisa Rusczyk titled The Best of Raven and the Writing Desk, the Gravity trilogy, a series of futuristic space fantasy novelettes, and The Foxwick Chronicles fantasy series. She is a member of Valley Writers and the Virginia Writers Club. 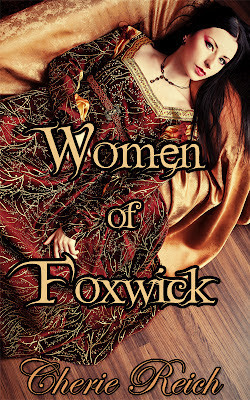 Congratulations on Women of Foxwick release! Interesting, were the aliens from Signs stoppable by water? Nice having you and good luck with your release. Thank you! Yes, the aliens from Signs were allergic to water. That's why we see crop circles in places where there are few water sources. Cherie, I didn't know you were an editor, too. Good to know. NANOWRIMO was the starting point for my WIP. Deadlines are so useful! Good luck with Women of Foxwick. Wonderful interview! I'm excited for Cherie. I believe Women of Foxwick is her best collection yet.